• TonyBet Casino Review - Slick Design And Features? At TonyBet, every Pawn is a potential King! This historic online casino truly holds up to its claim having been created for players, by players. It’s extensive array of casino offering appeals to any type of player, amateur and pro-gamers alike. It was initially launched in 2003 before going through major refurbishing and rebranding in 2009 to what it is today after the world-famous poker pro, Antanas Guoga, took over. TonyBet simple, yet attractive design really caught the prying eye of our Casino Gorilla. The classy layout that boasts vivid images of casino games on a light grey background proves to be very pleasant and welcoming. Eh, pay attention to what the Gorilla is saying! 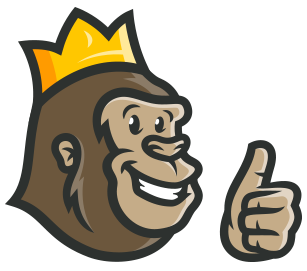 Alright, it’s time for an in-depth, unbiased review of TonyBet Casino by our well-versed reviewing chimp! While the casino is more focused on sports betting rather than casino, its welcome package remains generous, especially to slots fanatics. Here, if you’re a UK resident, you’ll be welcomed to a 100% match bonus up to £300 plus free complimentary spins. Once you are awarded the deposit bonus, you’ll be required to activate it within seven days of registering. Otherwise, it becomes null and void. Once triggered, the deposit bonus must be wagered 35 times within 30 days. The bonus can only be used in the TonyBet Casino, not its poker room, live casino, or sports book—don’t get confused! You can always use the casino site to find out what’s on the menu since these deals keeps on changing. For instance, at the time of writing, the casino didn’t have a VIP program, a feature that TonyBet is expected to introduce soon. Probably the most appealing promotion for casino players is the availability of free spins from the gecko. Besides the match bonus, players are treated to 20 free spins after signing up. These free spins can be played on Archangel Salvation and carry x35 playthrough requirements. Bonus spins will also come on a daily or weekly basis, but this is normally specified on the dashboard. Usually, the free spins are available on Microgaming slots at the casino and in most cases also carry a wagering requirement of x35. To be eligible for free spins, you will be required to make small deposits, and since TonyBet is time sensitive, you’ll require to use them sooner rather than later. To run its house in order, TonyBet uses promo codes to run some of its promotions. Pertaining the welcome deposit bonus, you have to use bonus code PAWNS to trigger the offer. If you fail to use this code, you are at huge odds of missing out on the initial deposit offer. In case you use the code and don’t get the bonus, please contact the customer support via mail or direct phone to get this issue resolved ASAP! Players who relish playing at live dealer casinos are in luck as TonyBet offers one of the most extensive platforms for live casino games in the market. Here you’ll find a plethora Live Roulette, Live Baccarat, Live Blackjack, and Live Poker versions. Some of the live dealer games on offer include Roulette Oracle 360, Auto Roulette La Partage, Roulette Oracle, Auto Roulette VIP, Casino Hold’em, Blackjack Silver #1 to #9, Blackjack VIP #1 to #9, Blackjack #1 to #13, and Baccarat #1-13 among 54 others. The tech behind live dealer games at TonyBet allows you to take part in the action as well-presented croupiers operate the game in front of highly advanced cameras. Most of the games that are playable on the desktop are also accessible via Flash, instant-play on the mobile. You don’t need an app to play your favourite games at this casino; as long as you have a smartphone or tablet, a working browser, and internet connection, you can play anywhere, anytime. Good news to iOS and Android players, you can access games using the TonyBet App for an even better display and gameplay quality. Here, you can access nearly 250 slots, casino games, and even live dealer versions. The entire TonyBet site is secured with industry standard 128-bit SSL encryption firewall. As such, there is no way your sensitive information can be obtained or decoded by the hackers. Your personal names, passwords, banking info, and any other account detail remains well safeguarded within the operator’s website. Besides, TonyBet’s software and games have been independently tested for fairness by one of the most reputable auditing agency NMi. The casino full adheres to EU gambling laws and bears GambleAware’s seal of trust for upholding responsible gambling. A team of dedicated customer support is available at the casino via various common channels. A live chat feature is available, but it’s only helpful between 8 AM to 7 PM. However, you can opt to get your issues resolved via email (info@tonybet.com), phone (02037 690147), or use a resourceful FAQ page. U.S. France, Spain, Portugal, Philippines, Denmark, Australia, Romania, Israel, Iraq, Iran, South Africa, New Zealand, Slovenia, Slovakia, Lithuania, Hungary, Sweden, and more. From the look of things, TonyBet is an action-jammed online casino that’s busting at the seams with lots of gaming features. The casino has a lot going on with its slick design and wacky imagery. 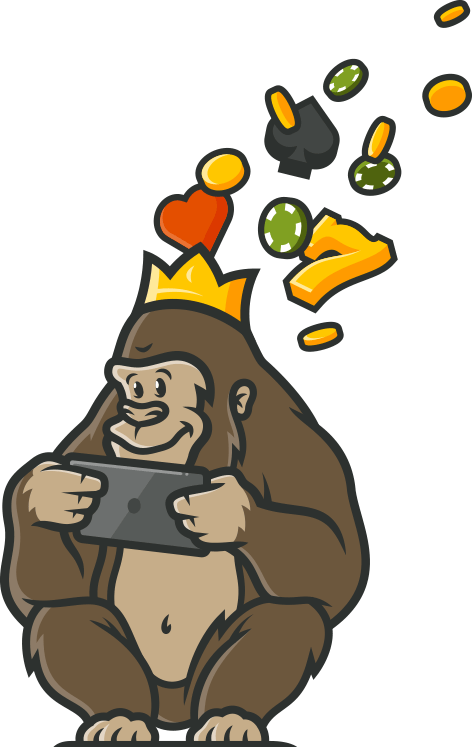 The Casino Gorilla is particularly stirred by the casino’s beautiful models that promote and deal in the live games. It remains a mystery why this operator hasn’t introduced a 24/7 live chat feature for its humongous fan base even after a decade of operation. But, with so much to choose from, TonyBet Casino remains an online punter’s dream destination. Variety is the spice of life, and for any punter, new or seasoned, the gaming experience here is extra spicy red-hot! Overall, this site has a good selection of games, but the mobile site could use some more. The limited table games for mobile players is disappointing. As for slots, I found great titles and landed some nice wins. The welcome bonus I received just won my heart. They gave me bonuses for both signing up and also on my very first deposit. Just when I thought there cannot be any more bonuses, I received another bonus when I downloaded the mobile. What can I say? I’m hooked! TonyBet gets an easy recommendation from me.